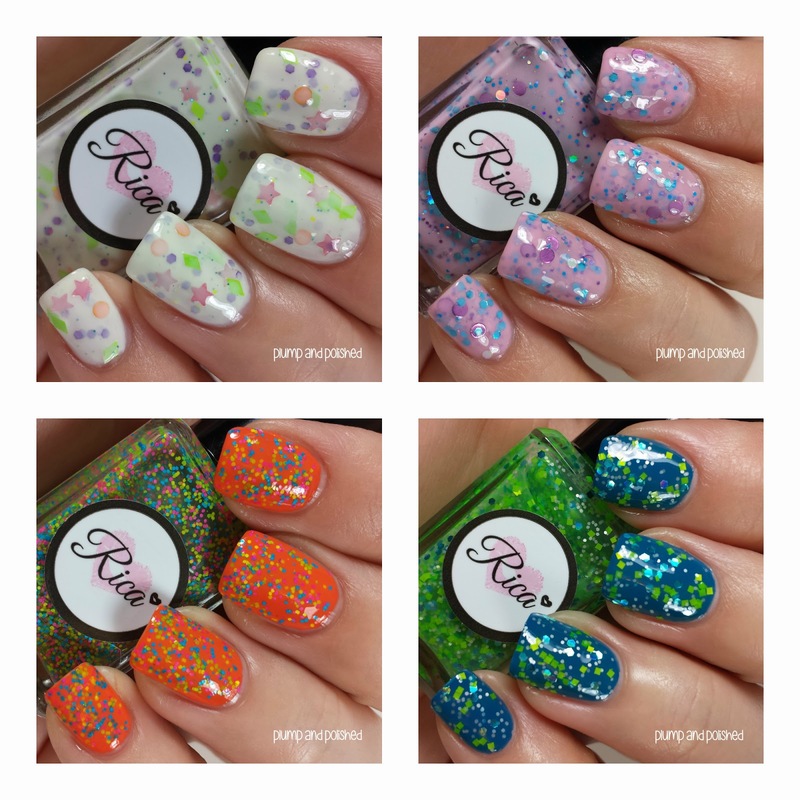 My lovely friend and polish extraordinaire, Rica, has an awesome new collection available. 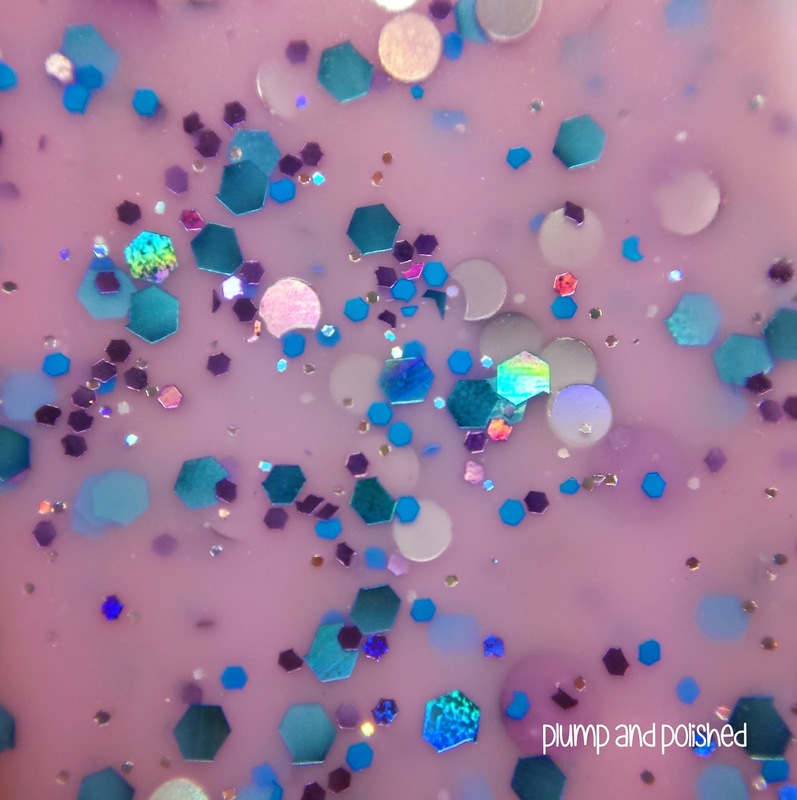 Unicorns in Technicolor is four polish collection with two glitter cremes and two glitter toppers. They're all bright, fun, and perfect for summer manicures (and pedicures, too!). Enough talking already. Let's get to the good stuff! 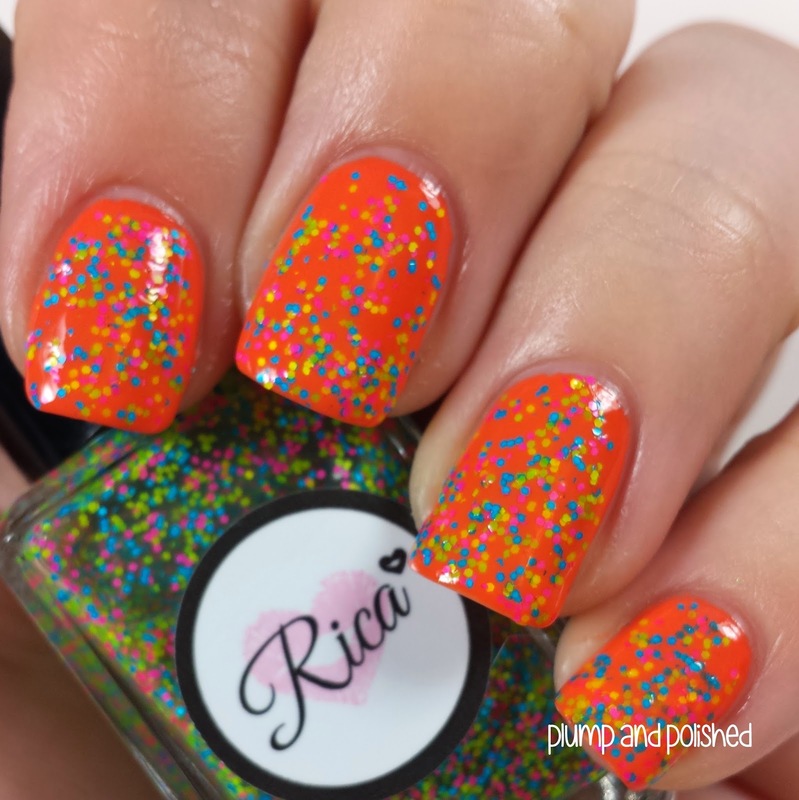 Two easy coats with tons of glitter payoff. I didn't have to fish for glitter or use the dabbing method. It applied nicely and dried quickly. One coat of Glossy Glam finished it off. 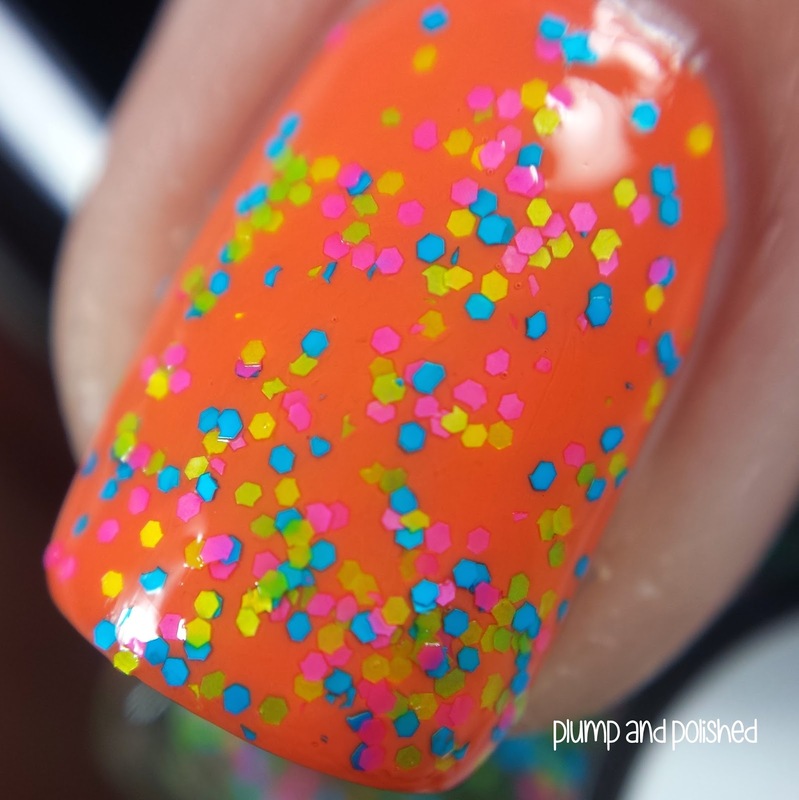 The orange dots are my favorite part of this polish. The mix in this is adorable. It's bright and cheery. 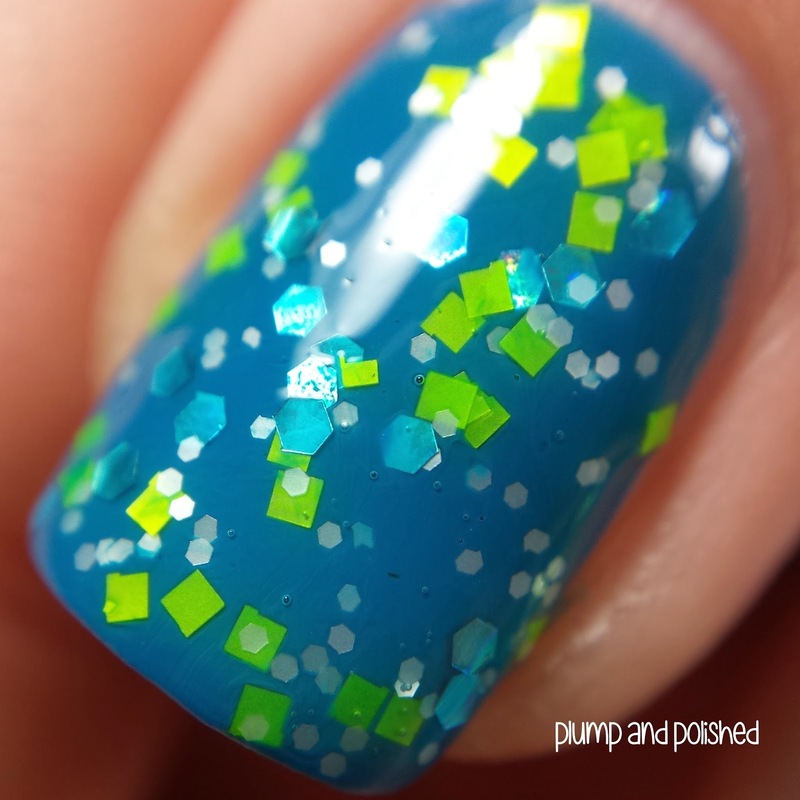 This polish had a great formula just like STS. 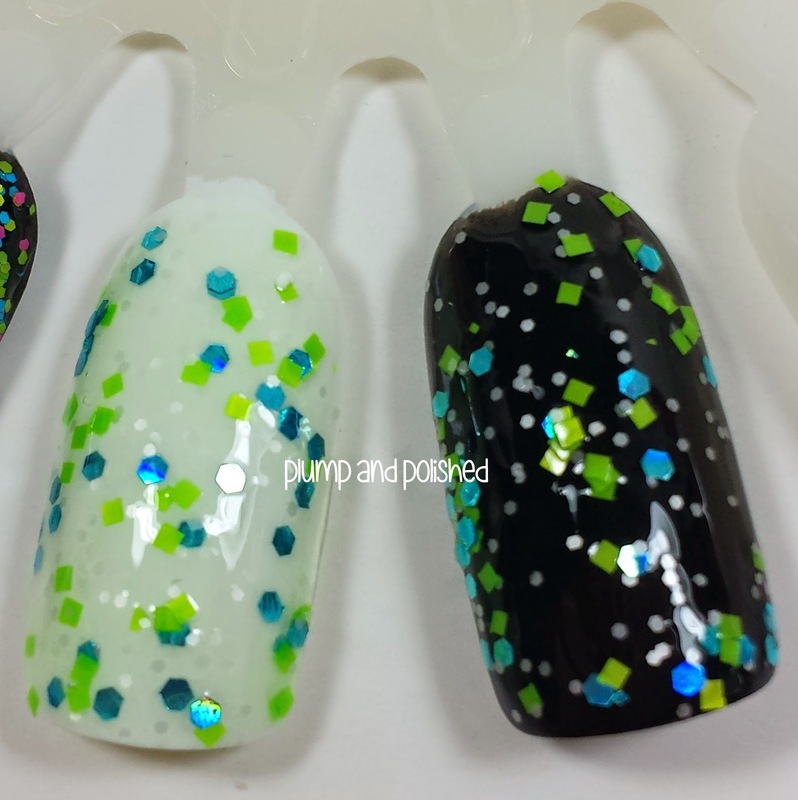 Two easy coats with a great glitter payoff. I used one coat of Glossy Glam to smooth it over. 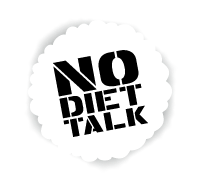 I love circles! 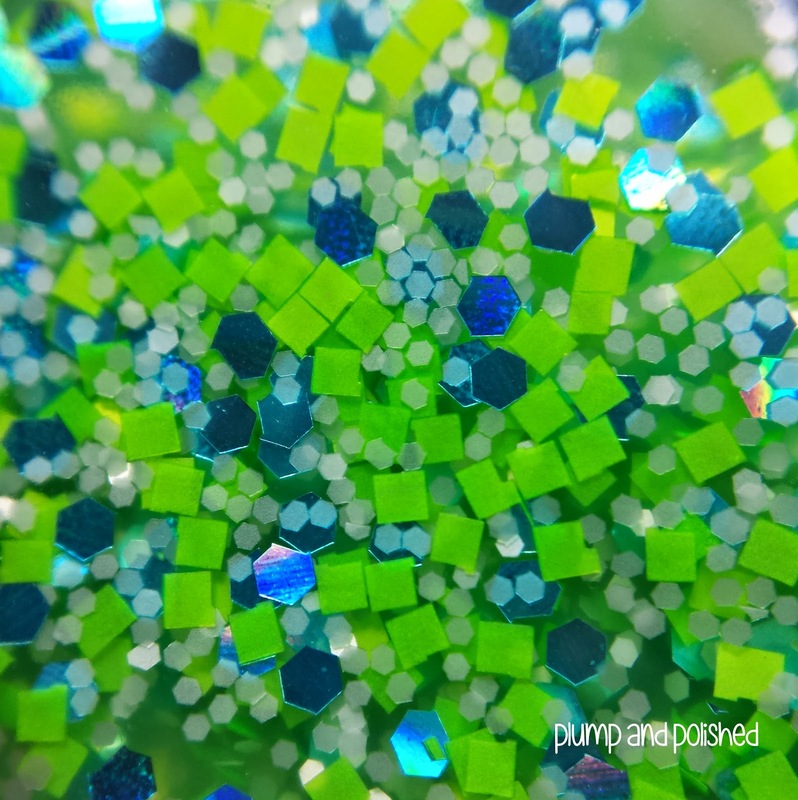 They're my favorite glitter shape. This is dainty and cute. Super easy application with no work needed at all. One coat and it's good to go. I topped it off with a bit of Glossy Glam to make it shine. 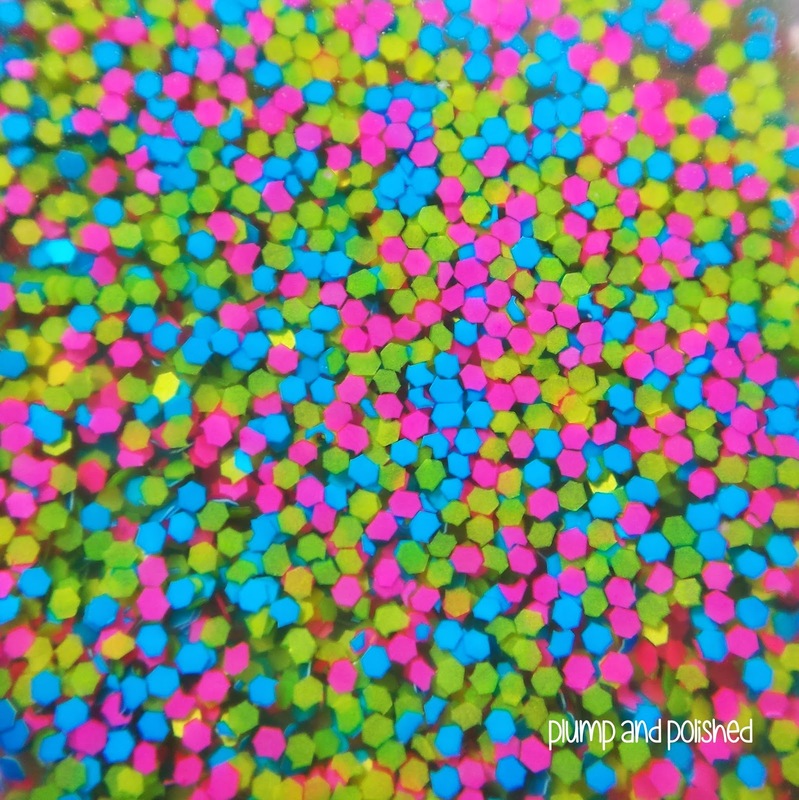 Oh, just a little neon confetti party. This would look great over any color base. Easy peasy application. I used one quick coat with little effort and finished it off with a bit of Glossy Glam. This is my favorite of the four! Those green squares are a sure winner for me. 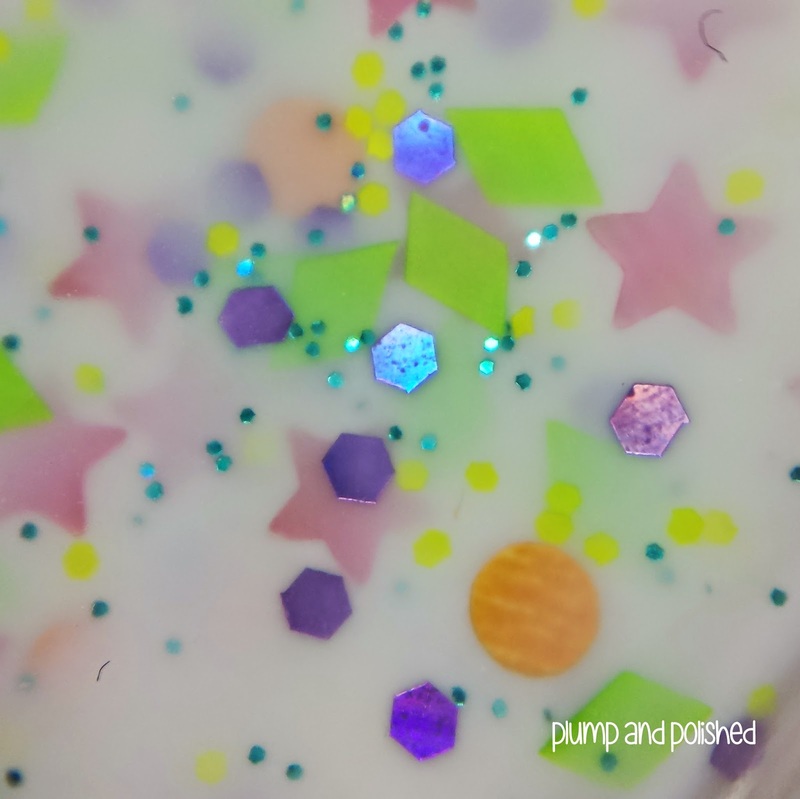 The Unicorns in Technicolor collection is currently available through Etsy. Each full size bottle is $9.00 USD plus shipping. 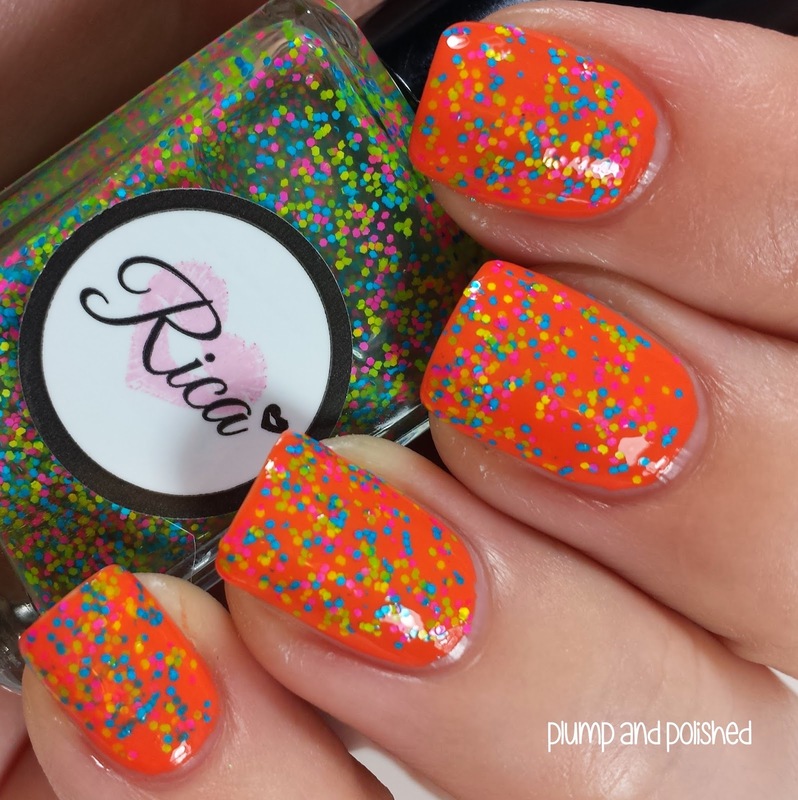 Be sure to follow Rica on Instagram and Facebook for stock updates! She Tinkled Sprinkles is adorable! These are really cute! I love They Sneeze Cotton Candy. It would look awesome with some purple textured accents! What neat polishes!!! Loving all of the confetti colors and funny names. The names are a hoot! these are so pretty and fun! She did such a great job with this collection!